Like an expected thunderstorm, the just concluded governorship election in Delta State is beginning to cause ripples in the opposition camp especially amongst those who worked heavily against the re-election of Governor Ifeanyi Okowa allegedly because of sour relationship they have with the governor in the past and perhaps their selfish interest in the resources of the state. One of such persons this online news medium learned who still nurses ill feelings towards the governor simply for denying him an opportunity some time ago from becoming the provost in a College of Education is no other than the Rector of Delta State Polytechnic, Otefe-Oghara Professor Emmanuel Ogujor. A reliable source close to the Professor of Electrical/Electronics engineering disclosed to SecretReporters that during the governorship election, Professor Ogujor was secretly working seriously to ensure that the opposition candidate of the All Progressive Congress (APC), Mr Great Ovedje Ogboru emerge as the Delta State governor as he openly averted that Okowa is not a democratic leader and lacks the requisite for a new Delta State. Allegedly after receiving some cash incentives from Ogoru towards achieving this selfish aim, the rector issued a serious directive to his staff to ensure that they mobilize voters in their various unit/ward to come out en masse and vote out Okowa. In the meeting which was held at Mass Communication hall a week to the election, Professor Emmanuel with selected comrade staff and students in a calculated attempt to convey his message through the departmental/faculty leadership stated emphatically “we can’t afford to remain opposition”. The directive probably did not go down well as it seemed strange and shocking for most people in attendance who argued secretly that the Professor with his level of education knows too well than to impose a candidate on them. 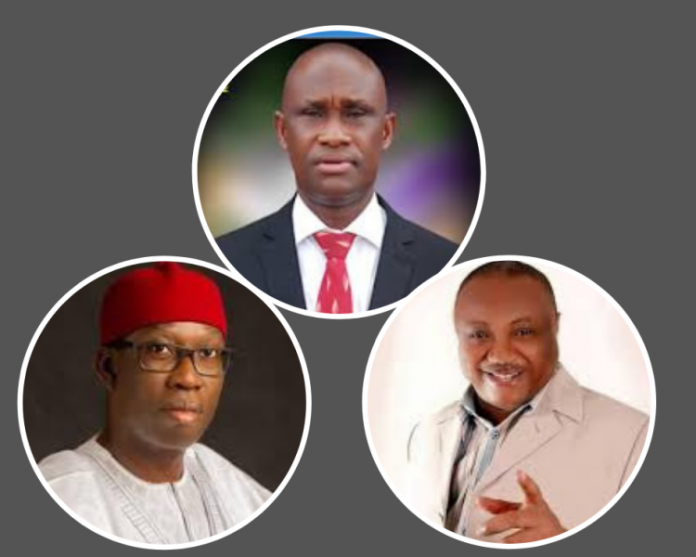 It was further revealed that most of the staff in direct disobedience of Professor Ogujor’s order openly canvassed for Okowa instead of Ogboru. This prompted the rector to lash out at the staff as he reiterated that “Ogburu will get his stolen mandate” and promised to deal decisively with those who flaunted his directive after been informed by his aides that most of the staff were not in agreement with him from the onset.